As with any other sport, practice makes perfect, especially where swimming strokes are concerned. Whether your team is working on their breaststroke or back stroke, many long hours logged in the pool will translate into swifter, more efficient strokes. Breaststroke is classified as a short-axis stroke because the swimmer is propelled though the water from a horizontal pivot point in the hips as opposed to the long-axis strokes where the body pivots along the vertical axis. The most challenging concepts of the short-axis strokes are proper rhythm and timing. The following are a number of efficient breaststroke drills that aim to improve your swimmers’ rhythm and timing when executing the short-axis stroke. The first series of breaststroke drills focuses on proper kicking technique. For the first drill, have your swimmers insert a buoy between their knees before performing the breaststroke. If the buoy slips or they are unable to hold it in place, wrap a large band around their knees. The purpose of the drill is to keep the knees together which is an essential aspect of a successful breaststroke. Have each swimmer perform 3 laps in this manner before proceeding to the next drill. Next, have your swimmers perform the breaststroke with their hands at their sides, focusing all their attention on the proper kicking technique explored in the previous drill. By keeping the hands at the side while kicking, it will enforce proper leg positioning as well as hip action. Make sure that focus on using proper breaststroke rhythm. As your swimmers become more advanced with their breaststroke, have them try to touch their hands to their heels as the legs recover. Again, have your swimmers do 3 laps without using their arms before continuing on. Finally, have your swimmers flip over to their backs and kick using breaststroke rhythm. They may keep their hands either above their head in a streamline fashion or at their sides, whichever feels more comfortable. When kicking, remind swimmers to keep their knees below the surface. Have your team perform 3 laps in this manner. Another crucial aspect of a successful breaststroke is a good full-body undulating motion. 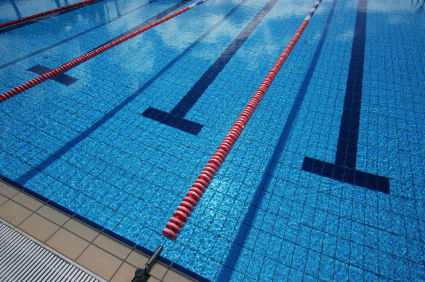 The following breaststroke drills aim to improve that undulation in the water. First, have your swimmers perform a breaststroke but using a dolphin kick instead of the usual frog kick. Make sure to remind your swimmers not to worry if their strokes are longer than usual because the dolphin kick will give additional push. Tell your team to focus on the undulating motion made with the upper body and abdominal muscles for the 5 laps where dolphin kick is used instead of frog kick. Finally, have each swimmer execute the breaststroke in the triple pull manner, which begins with two arm pulls keeping the head up the whole time and the legs stationary. On the third pull, allow the legs to kick strongly followed by a lunge into the streamline position. The swimmer should glide fully before resuming the pulls. This drill is great for perfecting the undulating motion in the first two pulls and the powerful kick and lunge combo of the third pull. Have swimmers perform 5 laps like this before resting and moving on to the next series of drills.